This 78 page ring-bound book is written by Ralph Eckert, Jorgen Sandman, and Andreas Huber. 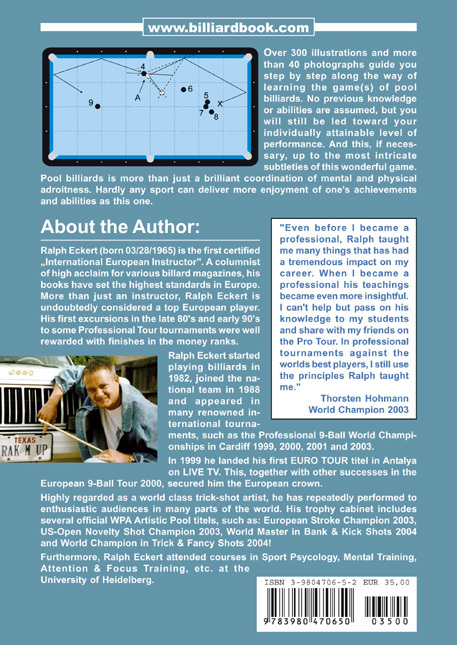 As a training workbook it is used and recommended by the European Pocket Billiard Federation (EPBF) as well as the World Pool-Billiard Association (WPA). 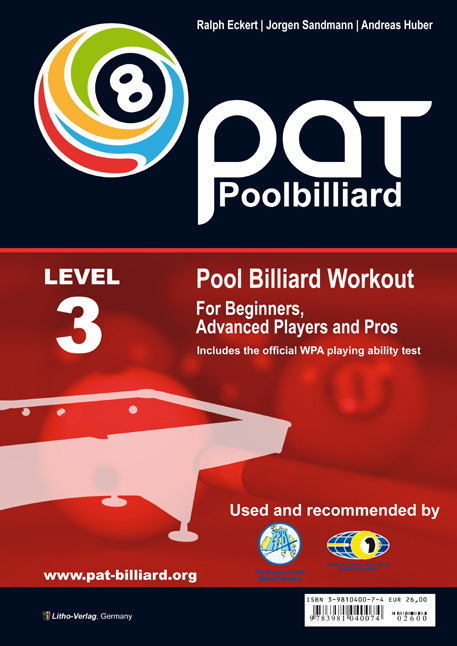 It includes the official WPA Playing Ability Test (PAT) for advanced to world class players and is far more advanced than the first Pool Billiard Workout and considerably more advanced than the second. 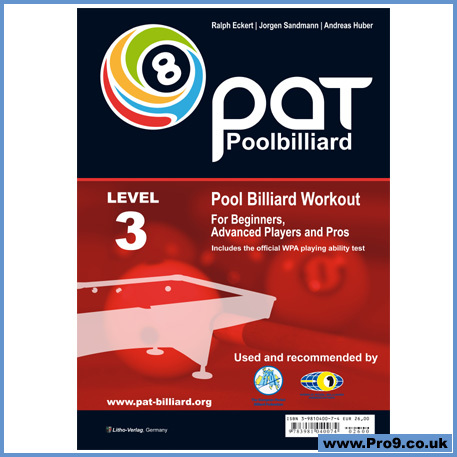 There is a section devoted to Technique Training and a third on Training Games. Are you world class yet? Take the Playing Ability Test for LEVEL 3 and find out.